Second Edit: This is a WIP, as suggested by Kabel. Very nice! I like the use of palisade bricks, and the crows nest. Looking pretty good already. But you might want to keep this a wip so you can work in some improvements. So for a carrack, you would have to increase the lenght of the poopdeck to almost the mainmast. The shape would be alright for a cog, but then you would have to remove the other two masts. One more thing abou the main mast, it's usually as tall as the ship's overall lenght. So for a carrack, you would have to increase the lenght of the poopdeck to almost the mainmast. This is a great first entry! I love the veggies. Don't want your sailors to get scurvy. Thank you. I used most of my brown brick supply, so I had to get creative. Thanks for the advice Kabel. I edited the first post to add that this is a WIP. There's always room for improvements. Yup, gotta keep 'em healthy. Yes kiddo, I did say Poop Deck! If I were you, I'd make sure people in an AFOL forum do not nessecarily notice that I was below the age EB says you should have in order to participate here! @Hammerhand: I changed the topic for you. You just say when you are done for good, and I'll remove the WIP again. Keep up the good work! 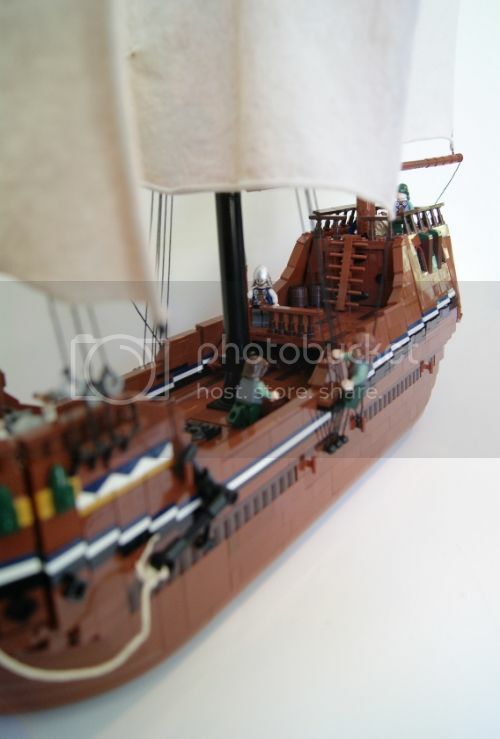 Nice ship Hammerhand! I like the anchor and the "cellar" at the bottom. Nice! Very nice ship! I agree with Kabel however that the mast looks a bit short. Looking forward to see the evolution of this! Thank you Gunman and Gideon. Hopefully I'll have some progress pics up in not to long. And thanks for changing the topic Kabel. Looking good! Great job with all the angles. That`s a very nice ship! Thank you Soccerkid. I considered turning the anchor around to be more like the medieval anchor here, but it looked a little odd, so I made it like the classic anchor. Coming along really well Hammer! Looking forward to seeing it finished. 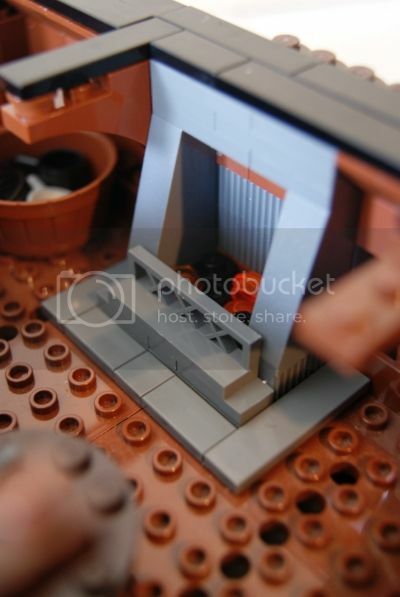 I love this entry, But i do not think that there would be a fireplace ( but then again I'm not a sailor ) below decks. Thanks The Architect and TheUtilityBelt32. About the oven, actually there were fire pits/oven on ships. They usually covered the ground around it with wet sand though, or in my case, a thin brick layer to protect from sparks. Oh. In that case it's a good fireplace\oven! I might put one in my ship! 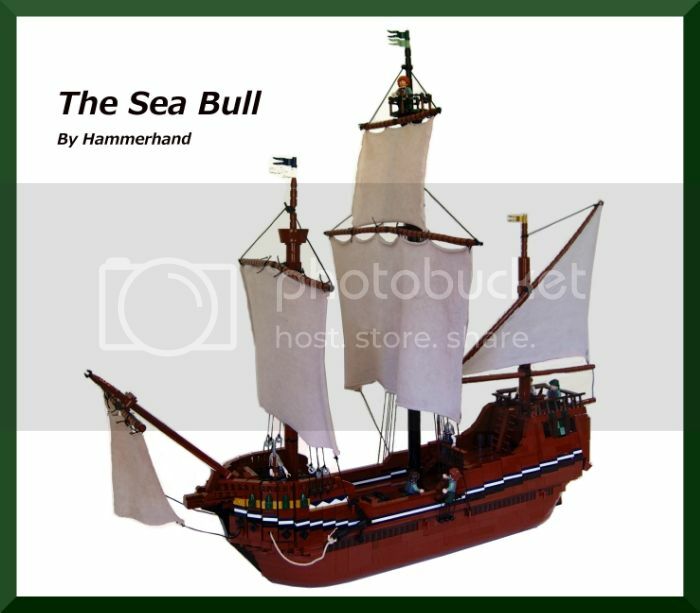 Yesterday I did a major overhaul on The Sea Bull, so it looks quite a bit different. 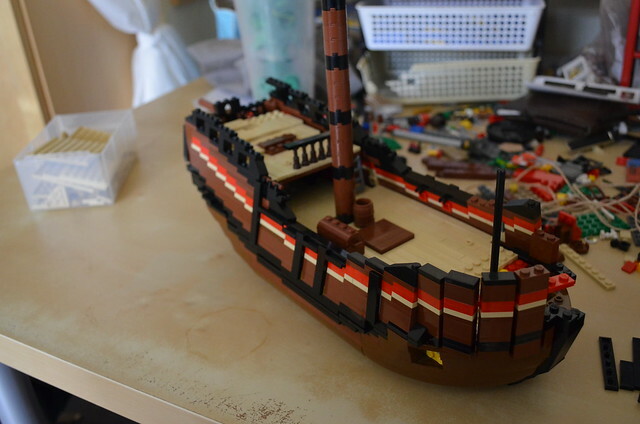 I decided I was unhappy with how the stern and the prow looked, so I renovated a bit. I also took the suggestions I was given about the mast etc., so hopefully I'll be able to post a progress pic sometime soon. Plus I've got an idea for a few more ships and the Dark times challenge... Time to kick some Drow. I missed the initial version(s) of this ship, but it looks pretty spectacular now! 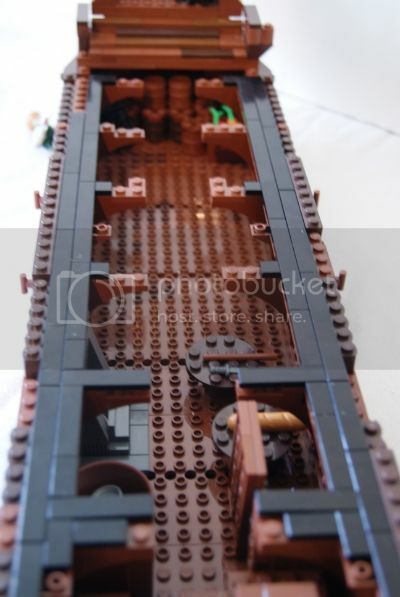 I love all the details you put in to it, and the fact that it has a hold and captain's quarters. 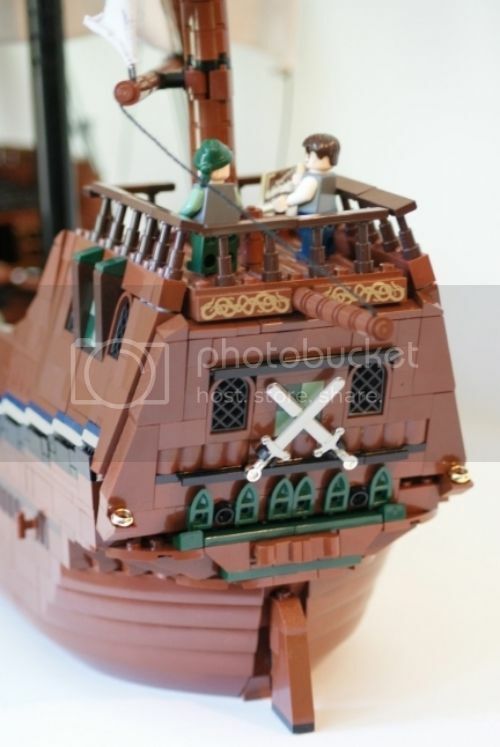 This is a beautiful ship and a great addition to Avalonia's navy! Added some progress pics. Any C&C on my changes are appreciated. This is fantastic! I agree with Kabel, I think the 4x4 is a little big for a mast. Love the anchor! Thanks guys. I was thinking the same thing about the mast, I just wasn't sure. And that WIP looks really nice Kabel, I love your ships. Next time I make a ship I'm going to make it smaller, it's pretty hard to work with a big one like mine to get a decent shape.